Look for a vegan chocolate-covered strawberry recipe for Valentines Day? You can easily make vegan chocolate-covered strawberries by using your favorite vegan chocolate brand. Be sure to use a good quality chocolate, such as Endangered Species or Dagoba. Prepare a baking sheet by lining it with wax paper. Melt the vegan chocolate in a double boiler over low heat, stirring frequently to ensure that the chocolate doesn't burn. When chocolate is smooth and creamy, reduce heat in a double boiler to low. 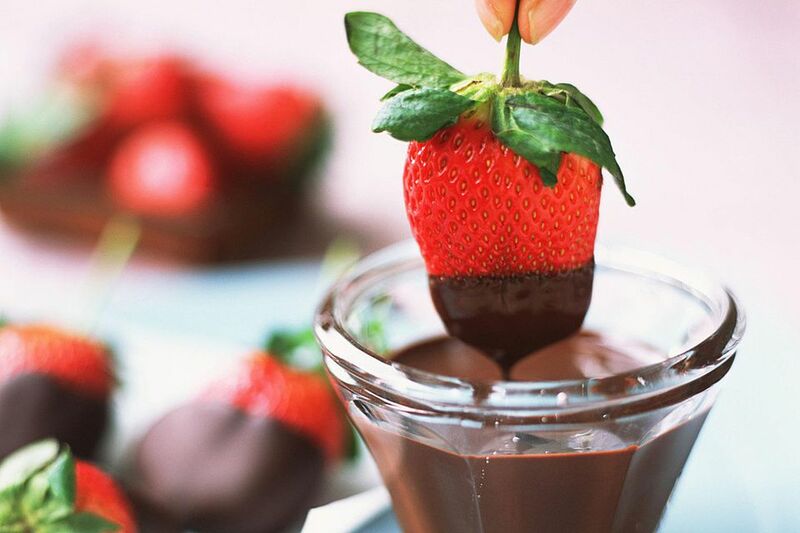 Dip each strawberry about halfway into the chocolate and place on wax-lined baking sheet.